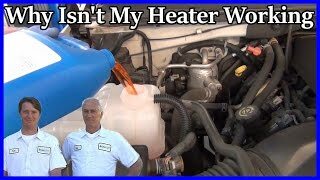 I Need To Replace The Heater Core In My 1992 Nissan Sentra. How Do I Do This? Step by step guide on how an automotive heater system works, this information pertains to all internal combustion vehicles and hybrids. Over Heating While Stopped And No Hot Air From Heater. When I Drive Down The Road Hot Air Blows From Vents Even When Ac/heater Is Off. Also Ac Does Not Blow Cold. Car Is Hard To Crank. The Heater Blows Hot Air At First, Then Starts To Blow Cold. Any Ideas? My Heater Is Throwing Cold Air.